If you want to talk to an actual person - and let's face it, we all do from time to time, then you are more than welcome to call us direct and speak to one of us in the warehouse here. We can't guarantee that we can help but we will give it damn good try. You will get through to either Sonya or Anthony. 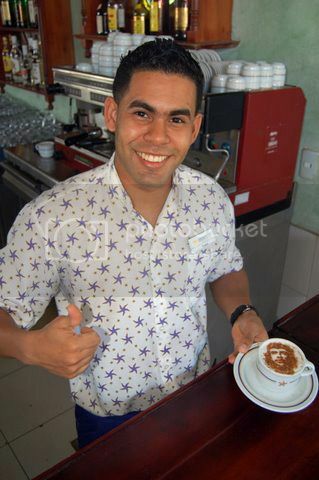 Become a happy Barista like our man in Cuba!! !